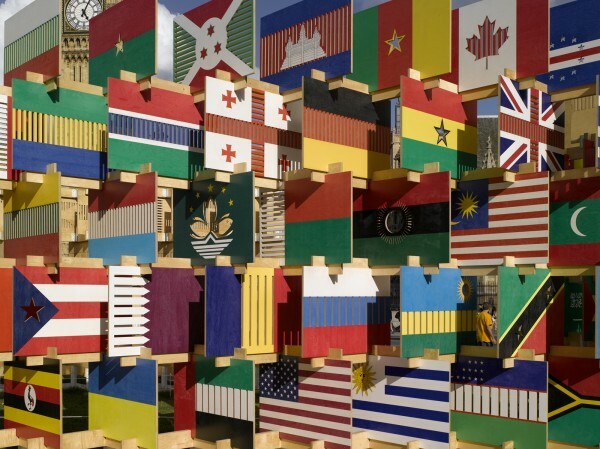 206 panels, depicting the flags of each participating nation in the London Olympic and Paralympic Games, were assembled in a temporary installation on Parliament Square in London in the Summer of 2012. 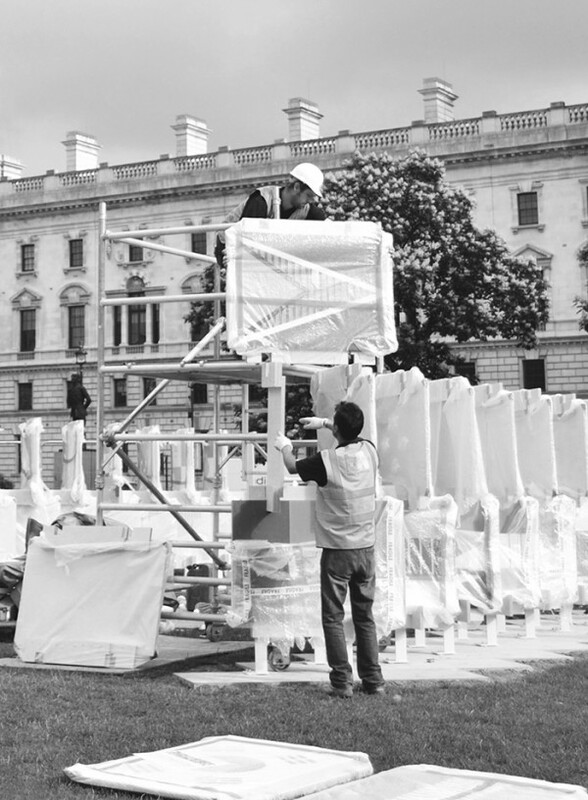 The project was commissioned by the Greater London Authority as part of the Mayor of London’s ‘Incredible Installations’ for the Olympics. 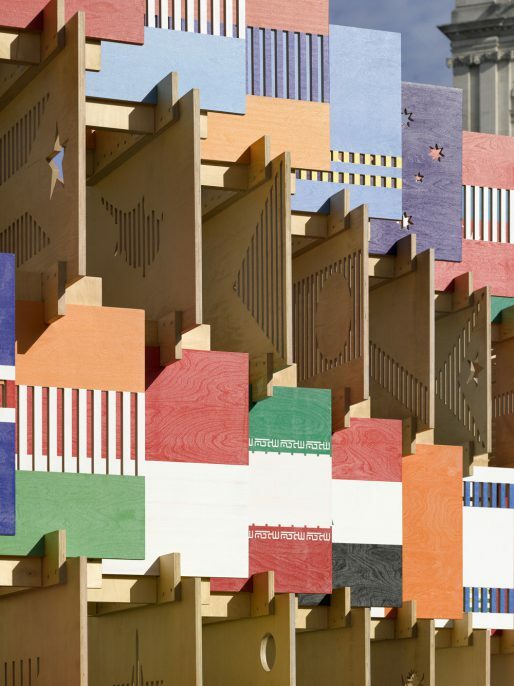 House of Flags is a free standing structure made of FSC certified finnish birch plywood supported on pre-cast concrete foundational blocks laid into the square. The cutting out of the various symbols and stripes of panels is CNC fabricated. 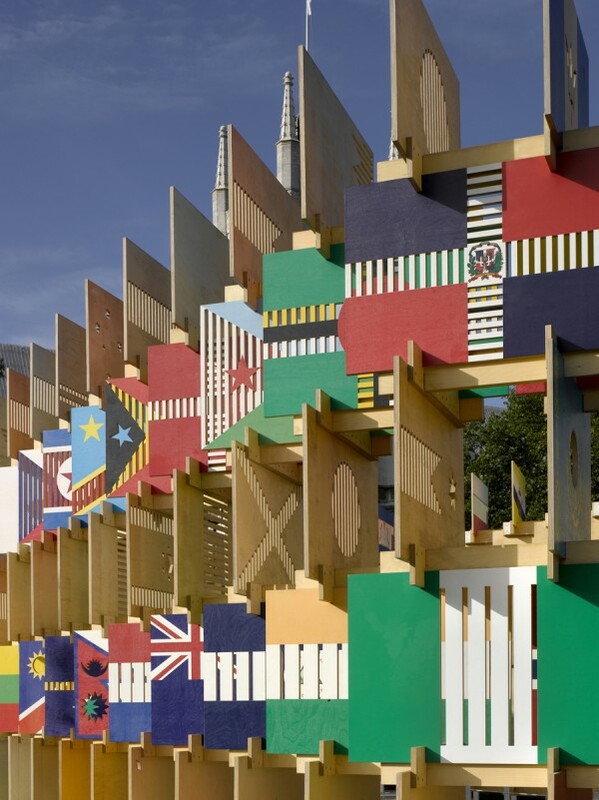 On the external elevation of each panel each flag graphic is printed directly onto the plywood while the internal elevation of the panels is left with the natural timber finish. 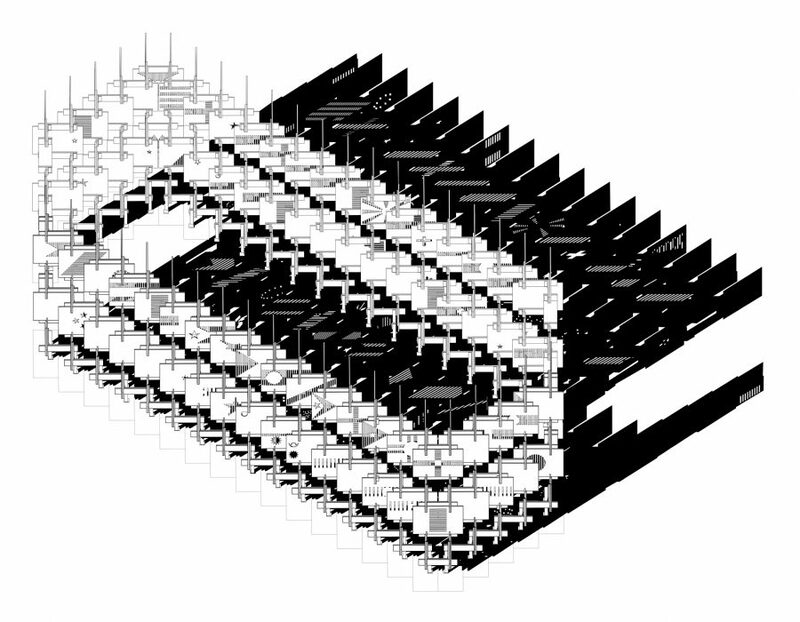 The structure can be demounted and reinstalled elsewhere, adapting to new configurations. 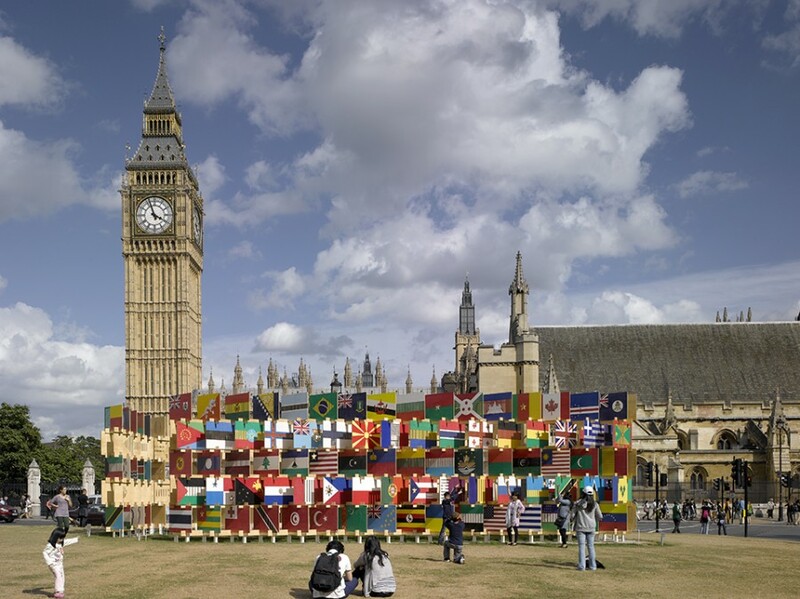 The flag panel arrangement is determined by alphabetical order. 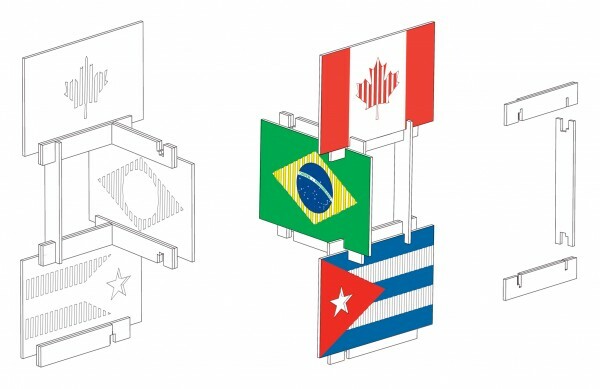 AY Architects worked with The Flag Institute, the world’s leading research and documentation centre for flag information, to determine how the panel graphics, cut outs, and connections should correspond to strict international protocols about national flag representation. 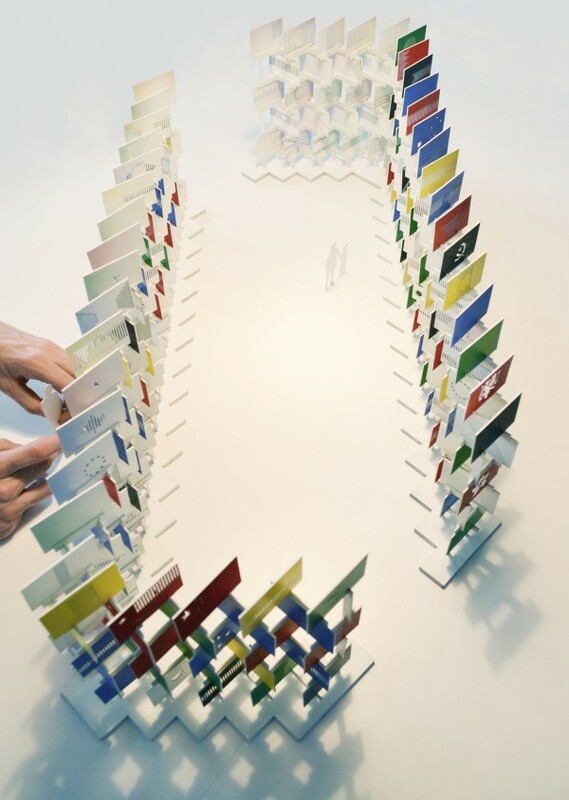 The architectural installation references Eames’ famous ‘house of cards’. 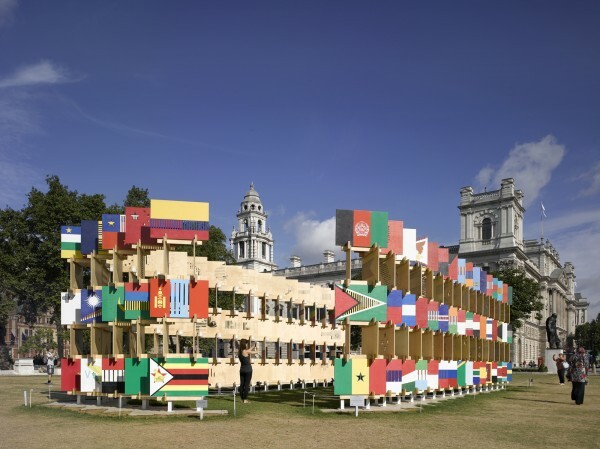 Together the flag panels create a large interlocking timber jigsaw: a united House of Flags, sited opposite the House of Commons. 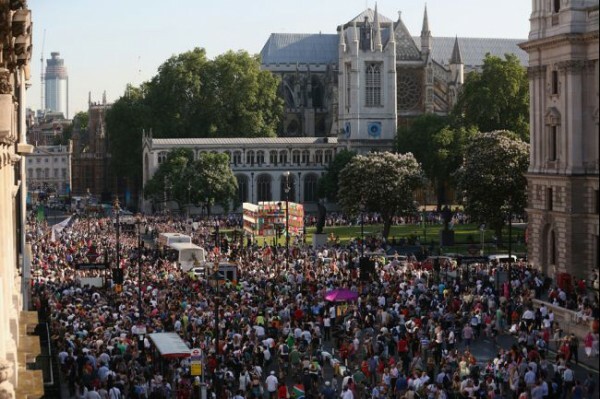 A matrix of symbols, shimmering colours, shadows and perforations invites everyone to experience an image of the world as well as an image of multi-ethnic London. Internally the panels create an abstracted, monochromatic and unified space. At night the structure is lit from within to glow as an inhabited ‘house’, highlighting the silhouetted cut-outs. 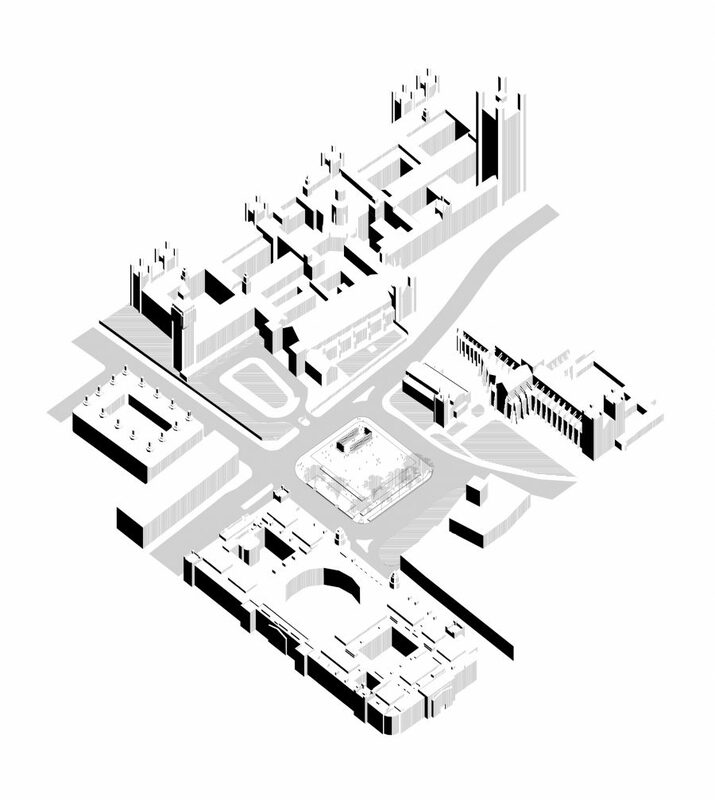 For a detailed description of the project in the Bartlett Design Research Folios series, please read here. 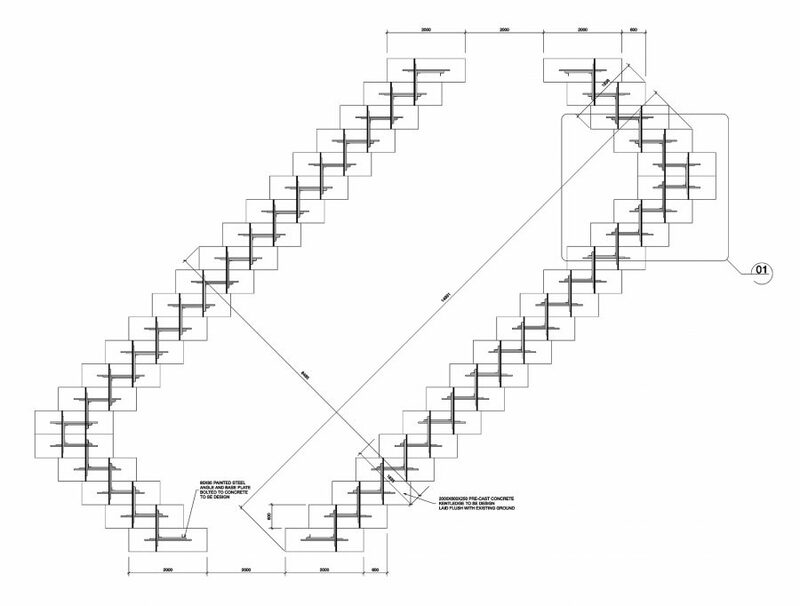 A time lapse video of the erection process can be found on vimeo.